ESPN The Magazine is releasing its first “The Perfect Issue” exploring what perfection is and the pursuit of an elusive goal. Shamed golfer and once almost perfect golfer Tiger Woods will grace the December 13, 2010 cover. Tiger will weigh in on what perfection means to him. Other athletes featured in the issue are Kobe Bryant, Jimmie Johnson, Charles Woodson and Maya Moore. One thing for sure we know perfection for him does not mean fidelity! 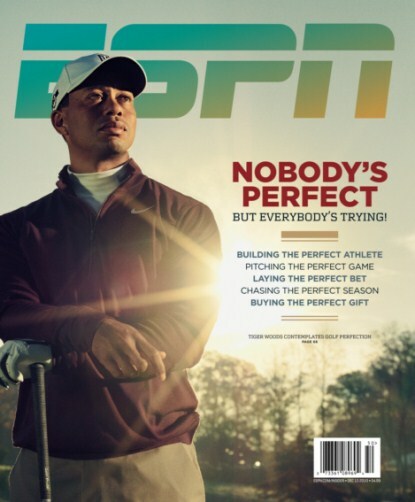 Are you interested in reading about Tiger Woods’ pursuit of perfection?